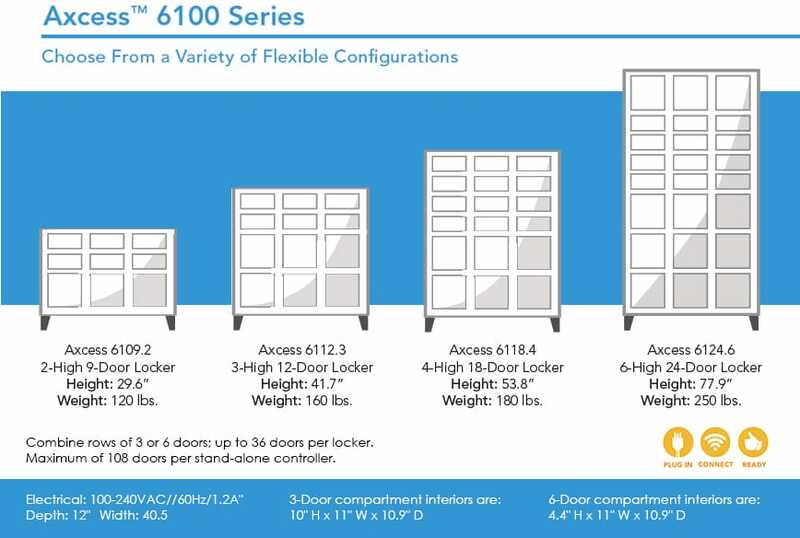 The Axcess Automated Locker Systems provide secure accountability for reusable assets and consumable products, ensuring your team has exactly what they need, when and where they need it 24/7. Flexible configurations are tailored to fit your needs accommodating various sized and shaped items such as supplies, forward stock kits, parts, tools, handheld assets and more. Single & Multiple Item Dispense, Check-Out/Check-In, Loan Periods, Asset Management, Self-Service Automated Order Pick-up/Single & Multiple Item Dispense, Check-Out/Check-In, Loan Periods, Asset Management, Self-Service Automated Order Pick-up/Will Call are all possible with the Apex Axcess Automated Locker Systems. 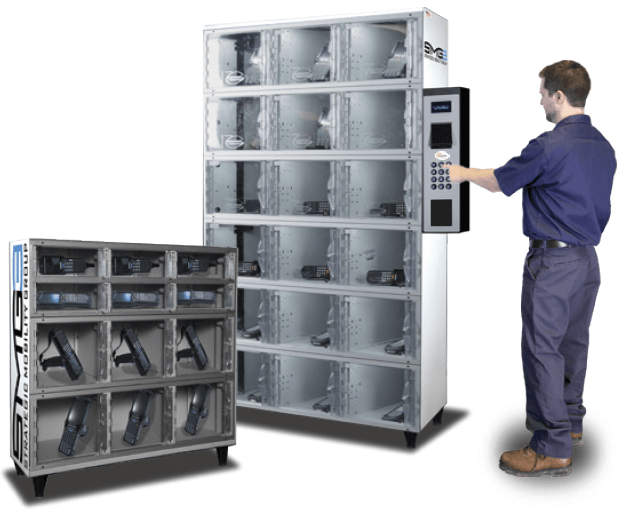 Individual compartment control for reusable assets and self-service automated order pickup/will call items; available in 18, 21, 24, 27, 30, 33, and 36 door solutions. Learn more. 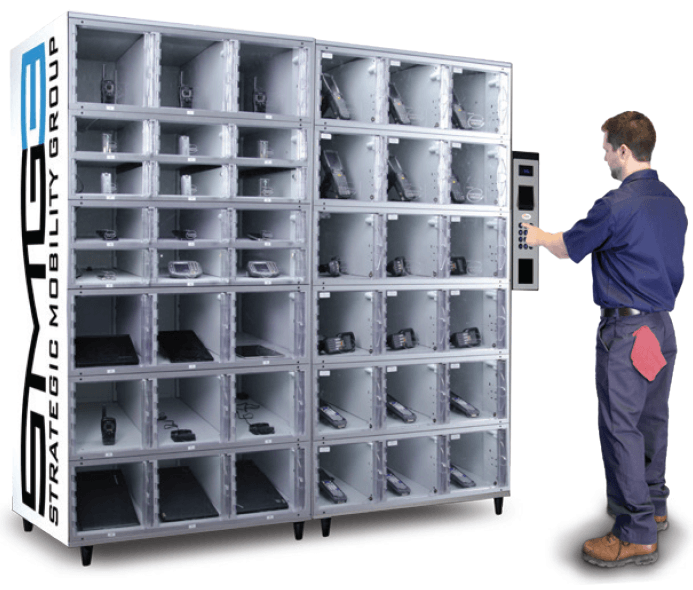 Shallow-depth, short to tall lockers ideal for managing reusable assets like hand-held scanners, radios, tools and instruments with 24/7 visibility into who’s using devices and tools, and where; available in 9, 12, 18, and 24 door solutions. Learn more. Strategic Mobility Group can help! At Strategic Mobility Group, we are end-to-end wireless solutions providers with specialized expertise in networking, mobile hardware, software, and services. We offer unsurpassed knowledge and expertise in systems design, installation, integration, and support. With technical insights from industry-leading consultants and certified engineers, we help our clients choose and deploy the right wireless networking and mobile hardware solutions to meet their unique operational needs. Contact us today to request a free consultation and technology assessment, and start transforming your operations with wireless mobility and automation.